YA Bound Book Tours: Blog Tour Kick-Off: Diary of a Rocker's Kid by Haley Despard! Blog Tour Kick-Off: Diary of a Rocker's Kid by Haley Despard! 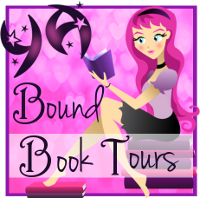 YA Bound Book Tours is organizing a Blog Tour for: Diary of a Rocker's Kid by Haley Despard. This tour will run from March 21st to 25th. Check out the tour schedule below. Haley Despard was born and raised in small, yet ever-expanding Simpsonville, South Carolina. She discovered a love of writing at age fourteen and hasn't been able to turn off the motor fingers since then. Today she lives just a stone's throw over in the country side of Greer, SC with her husband, son, and Boston Terrier. Her hobbies include amateur photography, designing teaser graphics for her novels, and composing piano music. 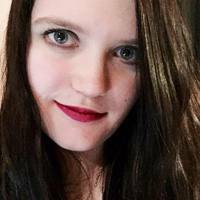 Haley's current project is a YA Contemporary Fiction series, but she also loves writing fantasy, romance, and occasionally horror fiction. Defying standards and norms and thinking outside the box is Haley's strong suit, and she plans to write something that makes it big someday. Until then, she's content with her growing author family and a head full of ideas. Connect with her at the links below and don't hesitate to contact her at hdespardauthor@outlook.com. Haley loves interacting with readers and other authors.